Hair Essentials Fo-Ti Essentials is the ultimate grey hair defense. It promotes healthy hair growth, longevity and vitality. Directions: Take 30 drops twice daily, in juice or water. May be taken at the same time as Hair Essentials™, or on its own. Ingredients: Selectively Imported Fo-Ti Root (Reynoutria multiflora), Grain Alcohol, Deionized Water. Caution: If you are pregnant, nursing, have any health condition or are taking any medications, consult your doctor before use. 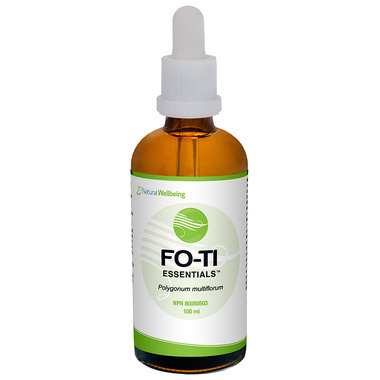 Some herbal ingredients in Hair Essentials™, including Saw Palmetto and Fo-Ti, may have an effect upon hormone receptors or have hormone-like effects. Please consult your doctor before using if you have had or are at risk for any hormone-sensitive condition, or if you are using HRT or other hormonal medications.